Last year, FIFA fined the England, Scotland, Wales and Northern Ireland teams for their use of the poppy. They said it was a political symbol and that it didn’t really belong on the football field. England and Scotland wore them on black armbands during their World Cup qualifier at Wembley last November. Wales and Northern Ireland were fined for displaying it in their stadiums. Now, FIFA has sent out a new plan that means the poppy could be displayed if both teams and the organiser allow it. The rule is expected to be put in place for November’s international games, in time for Remembrance weekend. England are set to play Germany in a friendly match at Wembley Stadium during that time. The German Football Association has said it has no problems with the use of the poppy. 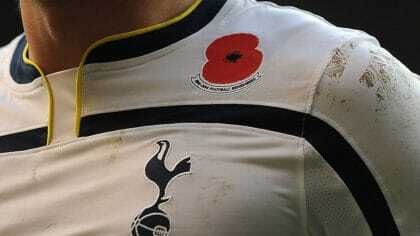 Our players are now expected to either wear armbands with a poppy on them or have the poppy stitched on their shirts. If you’re interested in why we wear poppies on Remembrance Day, you might like to check out Edward’s Diary. 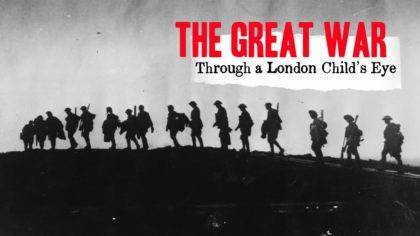 It’s all about life during the war, told through a the eyes of a child in London.